Nataly elevates every meeting and conference with her inspiring talks and practical, Happier takeaways. Let’s make your event a wild success! Bring Nataly to your next event! 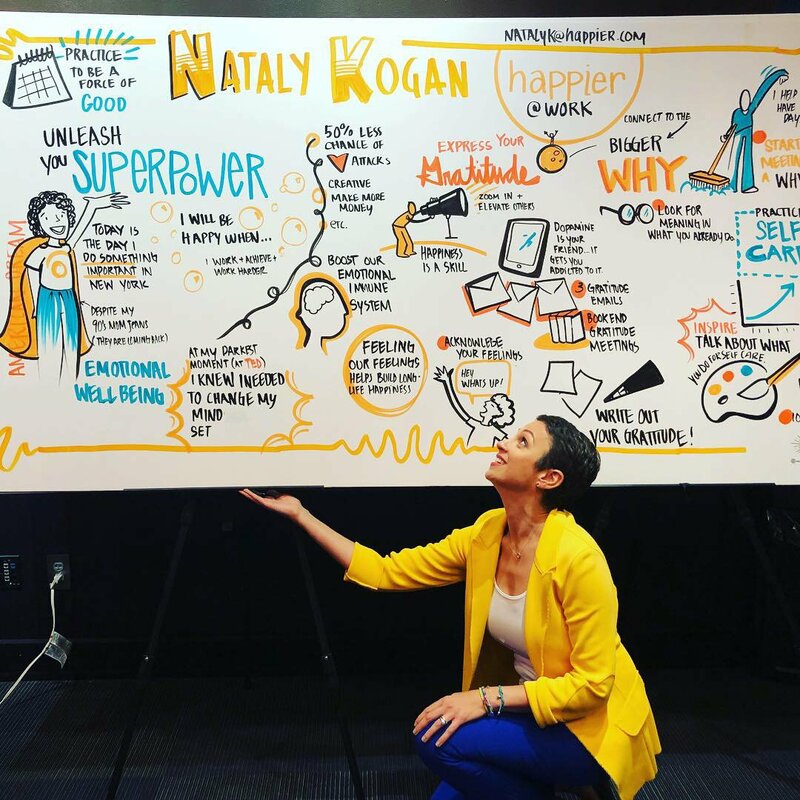 The CEO of Happier, Nataly Kogan is the creator of the Happier Method™ and a leading expert on how people and organizations can transform their individual and team culture so that they can thrive. She demonstrates that happiness is not just a feeling, but a skill that can be learned and improved through practice, which in turn boosts creativity, productivity, and profits. She has helped more than a million people dramatically improve their emotional health by making science-backed 5 Core Happier Skills part of their daily life. 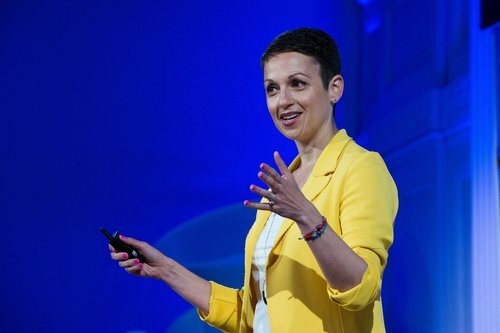 A sought-after keynote and TEDx speaker, Nataly has has received countless standing ovations thanks to her inspiring story and instantly implementable takeaways that transform how people work and live. 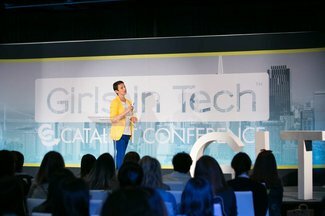 She’s given memorable talks at national conferences and events, including HUB Week, SXSW, MA Conference for Women, Pendulum Leadership Summit, Harvard Women's Leadership Conference, Million Dollar Round Table, MIT Media Lab, and Girls in Tech. 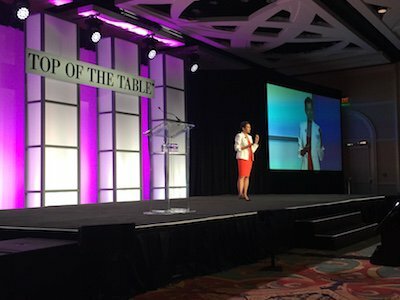 Nataly's keynotes and workshops have elevated team culture and engagement at leading companies such as Gillette, Digitas, Atrium Innovations, Louis Vuitton, and MediaMath, and for Women’s and Diversity initiatives at Fidelity, Cimpress/VistaPrint, and Globoforce. Happier and Nataly have been featured in hundreds of media outlets, including The Washington Post, The New York Times, The Wall Street Journal, Fortune, New York Magazine, and Time Magazine. In addition to her life-changing talks, the 5 Core Happier Skills and daily practices are available in online courses, Happier @ Work training programs, Happier’s award winning mobile application, and Nataly’s book, Happier Now: How to Stop Chasing Perfection and Embrace Everyday Moments (Even the Difficult Ones), published in May of 2018. Emotional health and happiness aren’t some touchy-feely nice to have ideas. They are your greatest unrealized assets, that will help you thrive and lead a human-centered workplace culture where employees and teams are dramatically more engaged, productive, and innovative. In this practical and inspiring session, Nataly Kogan shares science-backed skills and daily practices to help you improve your emotional health, increase resilience through challenges and change, and reconnect to a sense of purpose at work -- and life! Nataly reveals what individuals and organizations can do to not just cope but excel during times of change. Taking audiences through her research-backed 5 Core Happier Skills, Nataly shares practical strategies and easy-to-implement practices that will help leaders and employees adapt to change, manage stress and uncertainty, and find new opportunities to thrive. 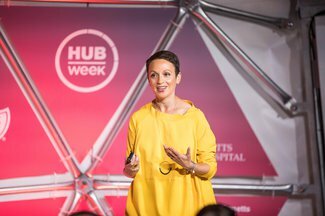 In this practical and inspiring talk, Nataly shares techniques to help employees improve their emotional health, increase resilience, and reconnect to their sense of purpose at work. Research has shown that improving employee happiness and cultivating a culture of gratitude, kindness, and trust, has a dramatic impact on the performance of the organization as a whole. In this powerful and honest talk, Nataly encourages women to cultivate their true purpose, learn how to deal with fear, and connect to their best self to achieve significant growth and fulfillment in their careers, regardless of the obstacles. Having spent her career in male-dominated industries of venture capital, finance, and technology, Nataly reveals practical strategies to help women unlock more of their potential and thrive in today’s workplace. Our innovative Happier @ Work program can help your team members develop practical skills backed by science in order to improve resilience, gain a greater sense of meaning and self-awareness, and become happier and more energized to contribute at work. Teams, leaders, and group participants walk away with easy-to-implement, science-backed practices that improve emotional health, company culture, and every aspect of performance. YPO (Young Presidents' Organization) connects successful, young chief executives in a global network around a shared mission: better leaders through education and idea exchange. UMass Dartmouth’s Robert Lawrence Lecture series for staff, faculty, students, and community, designed to promote civic engagement and community building. The 18th Annual Conference for NorthEast Contact Center Forum for 350 customer service and contact center leaders. TAI's annual meeting for companies and users of it's suite of life reinsurance software programs. Sleep Number's award meeting for 170 top performers, including front-line and executive level sales leaders, sales professionals, delivery technicians, and customer service agents. Captial One's 2019 incentive trip for sales, call center, customer service, loss mitigation, associates and managers. Event for 50 women leaders from Cigna, a worldwide health services company, held at The Delamar in West Harford, CT. The League of Leading Ladies business club hosts this annual, global summit for female business owners and c-level ladies of global enterprises. Fundraising Gala to support River Bend Foodbank's goal of ending childhood hunger in eastern Iowa and western Illinois. One of the fastest-growing HR conferences in the world, WorkHuman, pioneered by Globoforce, is dedicated to helping educate, energize, and engage thousands of business and HR leaders to build a more human-focused work culture. International National Women's Day event for 200 employees in Johnson & Johnson's Women's Leadership Initiative, with keynote broadcast throughout J&J's women's network. Cisco connects 15,000 employees, customers, and partners for a 21 hour global celebration and day of dedication for the advancement of professional women. San Jose will host America’s broadcast of the event. 750 residential real estate professionals from Leading Real Estate Companies of the World's global real estate network – comprised of over 565 of the best-known local and regional real estate firms – gather with 100 corporate mobility directors for this annual conference. Thankful.org and Girl Brands Do It Better (Berlin Cameron) host a brunch for 150 women sponsored which focus on gratitude towards self and the women around you who do extraordinary things. AAFCPAs company-wide offsite for all employees of this Westborough, Massachusetts-based CPA firm. The largest gathering of speaker bureau, lecture agency, and speaker management professionals in the world at the premier event of the year for the International Association of Speakers Bureaus. This annual event brings together more than 700 leaders from the architectural and design community. The premier annual event for 1,500 members of the International Customer Management Institute (ICMI), the leading global provider of comprehensive resources for customer management professionals -- from frontline agents to executives. The leading conference for 2,000 women in STEM careers, offering university-aged women and young women in the first 5-10 years of their career opportunities to learn from industry leaders, gain skills through workshops, and walk away inspired and connected to their purpose. Bringing together more than 800 attendees, this one-of-a-kind conference showcases the most advanced methods and approaches on how to create a life of authenticity, efficiency, wealth, and creativity, and will feature speakers such as Suzy Welch, Deepak Chopra, Steve Forbes, Jack Canfield and others. Science Based Skills for Avoiding Burnout, as part of the Media Lab's Diversity Series for graduate and postdoctoral students at MIT. A quarterly event for women, primarily in tech, hosted by Cimpress, Vistaprint, Hubspot, TripAdvisor, & Wayfair. The Women’s Leadership Group’s mission is to help women and Fidelity thrive in the domains of networking, leadership and volunteering by offering educational programs, mentorships, and networking. HUBweek is a civic collaboration and weeklong festival that brings together the most creative and inventive minds making an impact in art, science and technology. Sponsored by The Boston Globe, Harvard University, MIT and Massachusetts General Hospital. The 2018 Underscore Core Summit is a half-day conference of Lightning Talks, interactive roundtables, and thought-provoking keynotes for founders, CEOs, thought leaders and tech execs building iconic companies. The premier annual event for the Center for Women & Enterprise, this conference is for women interested in learning how to start or grow their business, as well as corporate supplier diversity and purchasing professionals interested in advancing and promoting their diversity programs. Pioneer of the WorkHuman movement, Globoforce makes work more human for millions of people and organizations worldwide through their human applications, including their award-winning Social Recognition solution. Women's network keynote broadcast to headquarters in Dublin, Ireland. An annual event to celebrate and highlight the presence and accomplishments of women in medicine and science at the University of Pittsburgh. The Massachusetts Conference for Women offers inspiration, motivation, networking, personal & professional development, and community for over 10,000 women and will feature speakers such as Amal Clooney, Elizabeth Gilbert, and Shawn Achor. 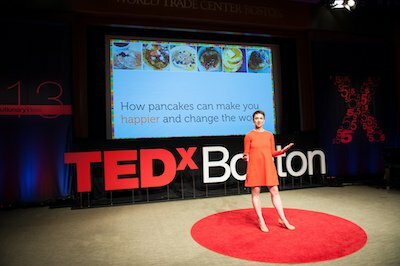 How I went from a Russian refugee to the US to the top of the corporate latter, burned out, and founded Happier based on scientific research that changed my life.